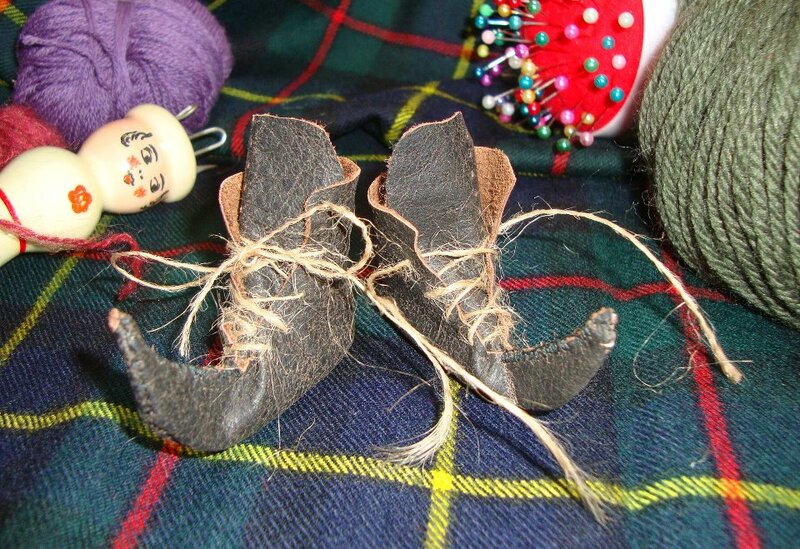 I made those little shoes and want to share with you. So cute. My friend Michael would have loved them! He had a pair of dark olive green pointy suede shoes I called his pixie boots!